Devana Insulation was struggling with their digital marketing. 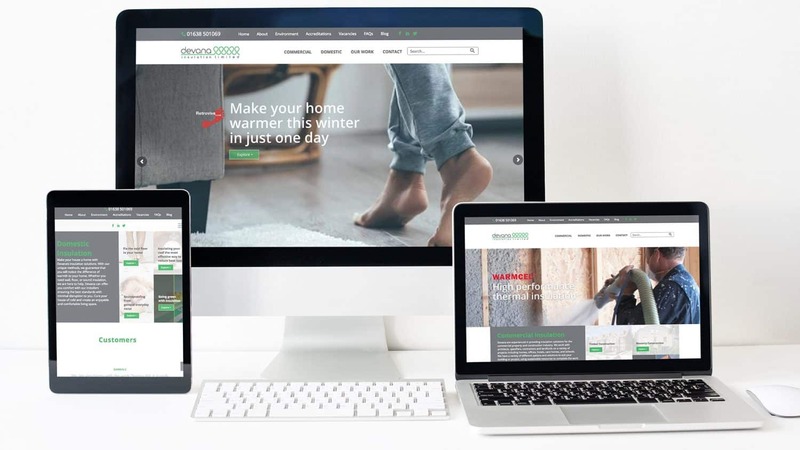 They struggled to attract customers beyond word-of-mouth, and recognised the need for a digital marketing strategy utilising multiple platforms in order to connect with their audience. Thump initially started with the marketing communications strategy for Devana. We devised a purpose to their service offering that appealed to both their trade and domestic audience by uniting their values and relevance. This purpose is ‘Installing Comfort with Care’. We focused primarily on the pain points and challenges experienced by the audience as Devana is ultimately a solutions provider. This positioning had financial, lifestyle, and environmental benefits. This brand evolution represented the benefits and values of the products installed by Devana. From this, we created personas for Devana. These personas represented key audiences for the company including the trade audience and the domestic audience. The personas focused on the size of the market, pain points, purchasing drivers, lead messages, and communication preferences. Following from this, Thump created a persona-based website with a clear hierarchy of content in order to direct the audience to the right content for the best user experience. This was achieved with a main homepage, a commercial homepage, and a domestic page. This is further represented with multiple menus. With multiple complicated journeys, we ensured that creatively it was simple.